NEW RELEASE! ORDER YOUR JOURNAL TODAY! Step One: Study, and have FAITH in God’s Word. 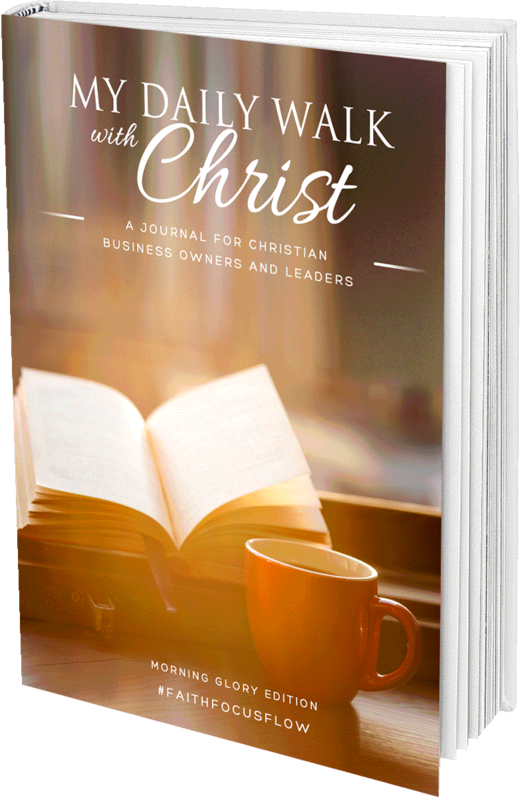 Shape your ideas with biblical principles and you’ll be “walking with Christ.” This journal has dedicated space for writing verses to power your “walk with Christ” throughout the activation of your business ideas. Need help identifying scriptures? Check out the “Walk Through Scripture” reading plan in your journal! Step Two: Focus, then write. Ideas that are not connected to a particular business focus often result in inefficient time management and wasted resources. 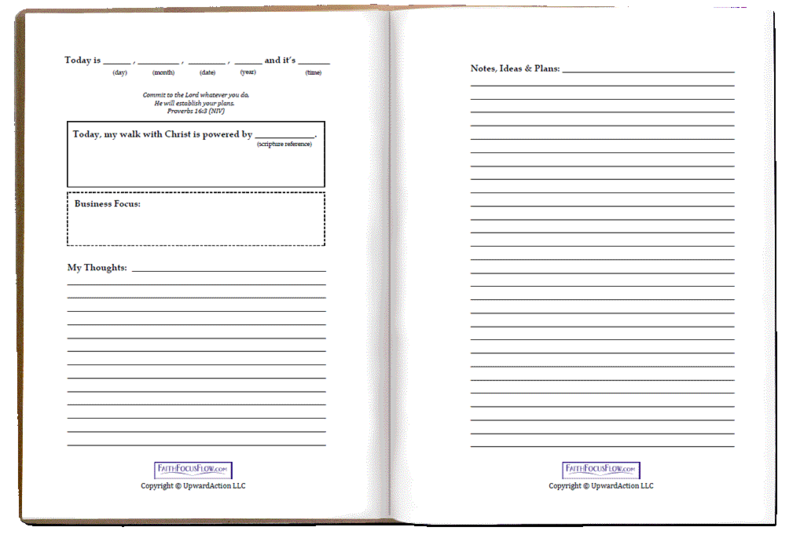 Use this journal to record your ideas as they develop, then take them to Jesus in prayer. Step Three: Pray, then let your ideas flow. After you have some clarity about your idea as inspired by scripture and a particular business focus, submit all that you’ve written to the Lord and pray for divine wisdom and guidance. Use your journal to write what God reveals. Step Four: Get clear about your next steps. Review what God revealed during your prayer time and write down what’s next. Step Five: Praise, then pray. 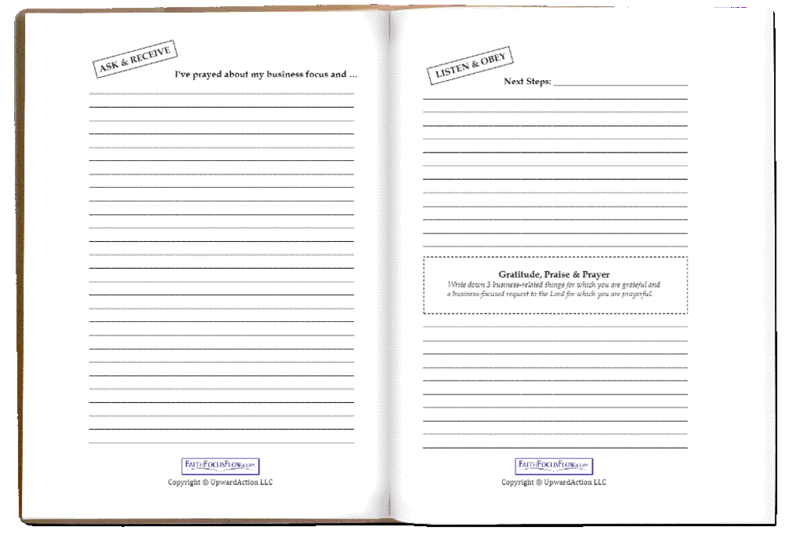 Before ending your business planning time with the Lord, this journal invites you to exercise your faith through praise and prayer. Here’s what we at Faith Focus Flow™ know for sure. God’s plans for you and what your business can accomplish for His kingdom are beyond anything you could ever dream or create by yourself. Tap into God’s wisdom at the start of every idea and be ready to quantum leap into building, maintaining and growing a business that honors God, supports people and builds wealth. NEW RELEASE BOOKS SHIP ON JANUARY 27! NEW RELEASE! CLICK HERE TO ORDER YOUR BUSINESS JOURNAL! 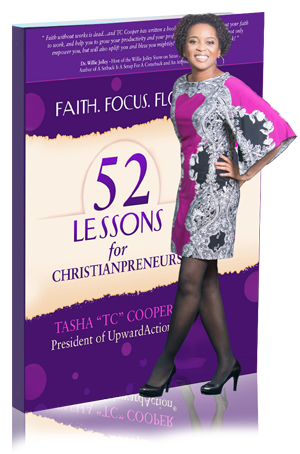 Tasha “TC” Cooper is an attorney, author and President of UpwardAction® – a digital publishing and online training company she launched to pursue her passion for social media advocacy as a business. 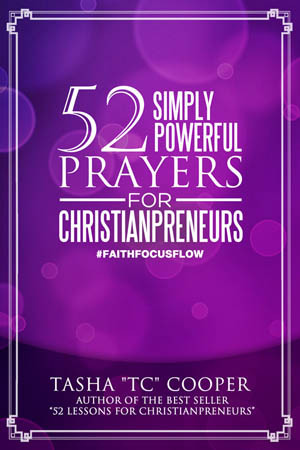 She’s also the founder of Faith Focus Flow™ Leaders – an online movement that helps business owners and leaders integrate Jesus into every single aspect of their business. TC has been recognized as a leader in social media marketing, self-publishing and building influential brands online. 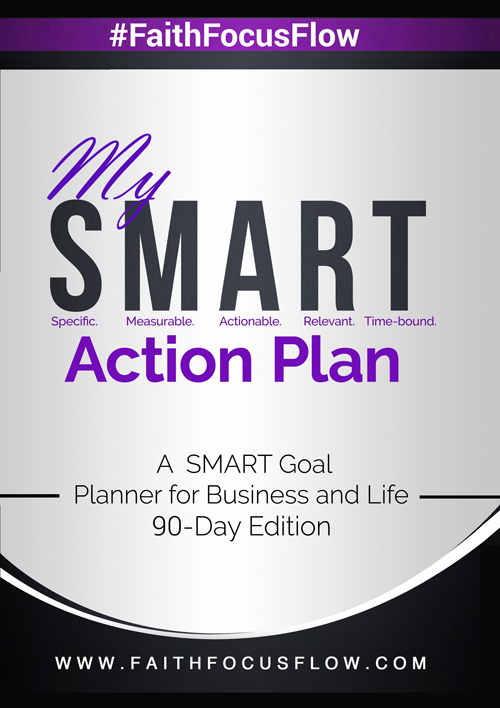 She developed for UpwardAction® Media clients the CooperZone™ Academies, which includes on-demand training programs for Twitter, LinkedIn, Live Streaming and Online Marketing. TC’s background reflects her deep respect for both formal and informal education. She graduated from Hampton University in 3 years while doing things she loved – like hosting shows on her college radio station. She then graduated from Columbia Law School, where she fell in-love with the people and energy of New York City. 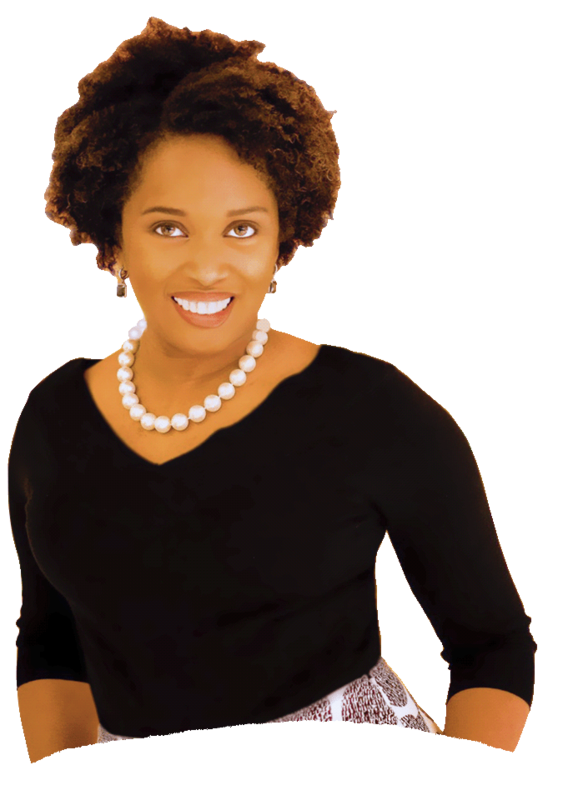 TC is a certified executive coach and has spent nearly two decades as an attorney with experience in real-estate, intellectual property and social media. 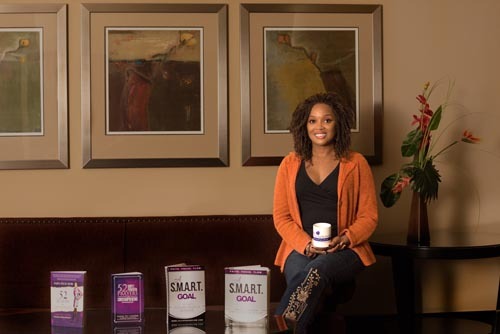 She’s a self-taught social marketing strategist, fine-tuning her expertise while investing too many hours and dollars to count in experiential learning, formal programs and ultimately building successful Internet based businesses. A teacher at heart, TC has taught thousands of lawyers, entrepreneurs & leaders how to use social media to increase impact, expand influence and diversify income. Through #FaithFocusFlow, she’s helped 10,000+ people draw closer to Christ through books, e-newsletters, planners and social media. Follow #FaithFocusFlow on Instagram at www.Instagram.com/FaithFocusFlow. NEW RELEASE! CLICK HERE TO ORDER YOUR JOURNAL TODAY! 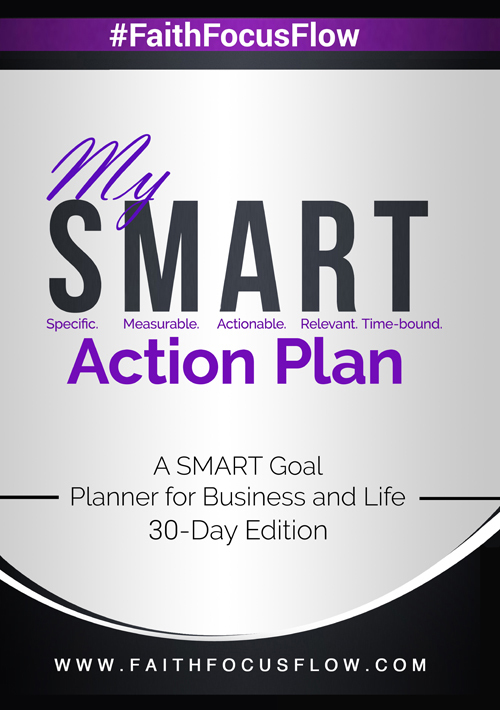 More Powerful Business Building Resources from UpwardAction® Media.